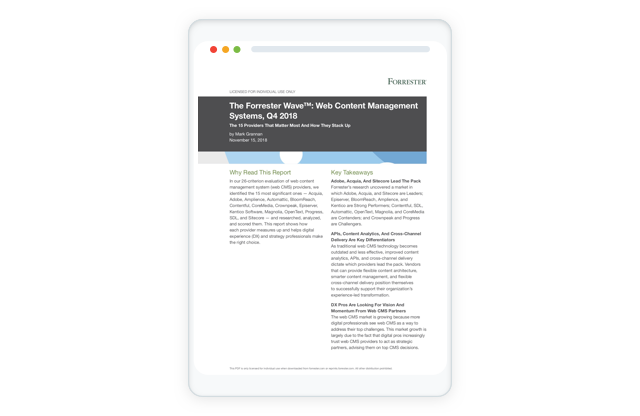 Forrester's latest market report on Web Content Management Systems states that Contentful’s "API-first and cloud-native approach excels." 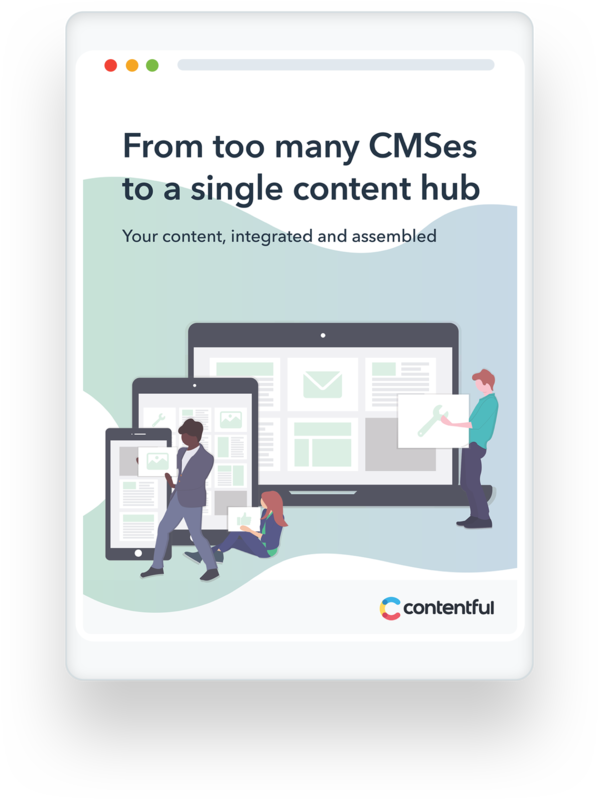 Learn how a content hub can reduce your costs, improve your workflows and decrease time to market. 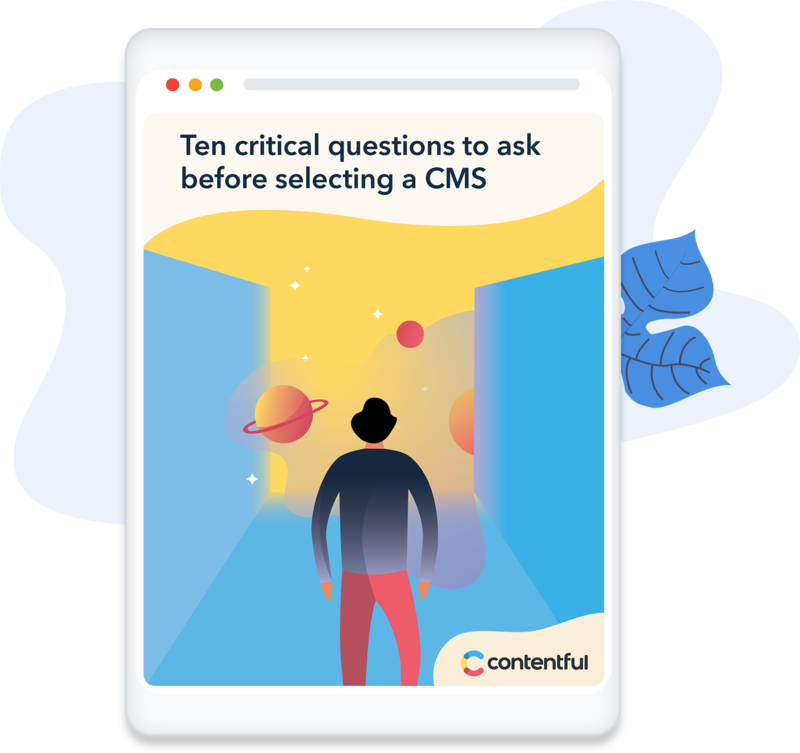 We tackle the 10 most critical questions to ask during the content management system selection process. Learn how to transform your business with a modern website technology stack. Is your outdated CMS making you look bad at work? Learn practical ways to map content geography for omnichannel content management and delivery. New to Contentful and not sure where to start? We'll walk you through the core skills to master your content infrastructure. Learn more about pre-built integrations, using UI extensions to integrate content from other platforms, and more. Learn more about making the most of spaces and environments, SDKs and tools (GitHub), and migrating and transforming content with code. Learn more about choosing a content delivery architecture, using Contentful's core APIs, and working with GraphQL. So—you need a new solution. Do you build the software yourself, or buy something off the shelf? If you are responsible for delivering websites for your business, then this guide is for you. Get tips and insights from a leading direct-to-consumer beauty brand. Learn to break through content bottlenecks to improve efficiency, avoid delays and get your business ready to scale. Selecting the way you approach content management is more than a technology issue. It’s a human one, too. Our how-to guide on digital experiences gives you the very best insights into content infrastructure. It’s packed full of our resources. Our guide to deploying the content infrastructure which will accelerate and amplify your digital products. Discover how some Contentful customers are using content infrastructure to shine in a competitive market. Transform your content infrastructure and content operations, and get your digital products to your customers lightning fast. Learn how to recognize and address your CMS issues before productivity suffers. Find out how traditional systems compare to a modern, unified content hub. The modern web is here. Painful with a legacy CMS, easy with content infrastructure. 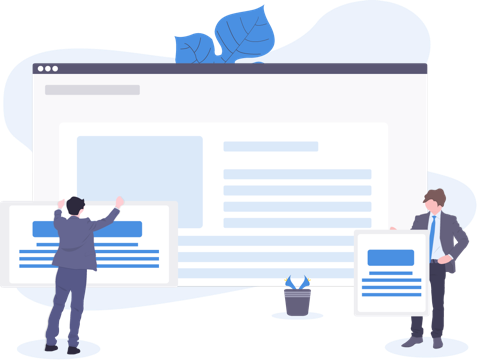 Read case studies and visit projects that our customers have built with Contentful, from websites to apps, content hubs and digital signage – with content at their core. "Contentful is a great fit with our speed-oriented architecture." TELUS Digital creates innovative digital products and world class customer experiences – websites, apps, APIs, design systems, and more – for Canada's fastest-growing telecom corporation.